Denise LaGala joined our team in 2015 as an administrative assistant to Edward Schuler. 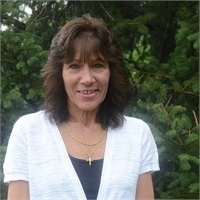 Denise has many years of office management and customer service experience. She enjoys working with people and going the extra mile to resolve any issues that arise. Outside the office, Denise enjoys, skiing, traveling, and spending time with family and friends. She has been married for 28 years to Tony and has one son Charlie, who just graduated from Rutgers University with a degree in Civil Engineering.